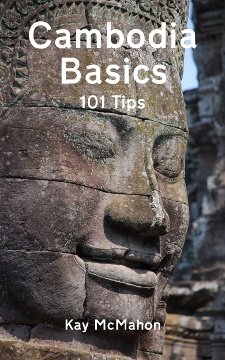 The second of our …Basics – 101 Tips books, this is another collection of useful tips for visitors based on the author’s personal experience and on-the-ground research, amassed in over six years of visiting Siem Reap and Phnom Penh – the two cities on which the book focuses. Cambodia’s recent past was notoriously horrific and dominated by civil war, genocide and extreme poverty. Although the country’s now emerging from that past, the economy and infrastructure are still a long way behind what most of its visitors will be used to from their own countries and their travels elsewhere. This book helps the newcomer to Cambodia smooth off some of the rough edges they might otherwise encounter in travelling around the country, and make the most of their time among the charming and hospitable Cambodian people.